Mainly clear. Low 56F. Winds ENE at 5 to 10 mph.. Mainly clear. Low 56F. Winds ENE at 5 to 10 mph. 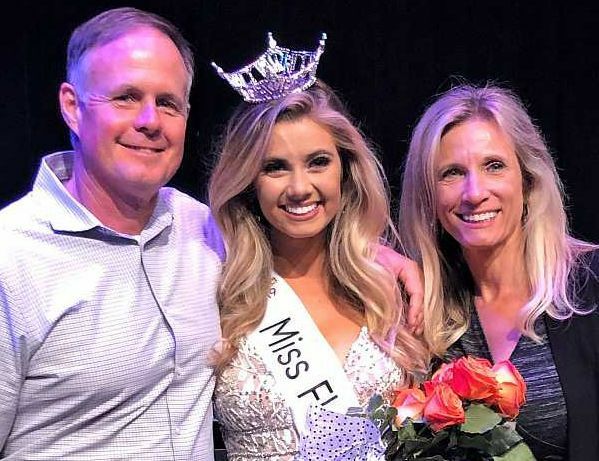 The Miss America preliminary pageant, hosted by David Lang of Regalia Magnificent Apparel, was held at Polk State College’s Fine Arts Theatre where contestants were judged on their personal interview, evening wear/on-stage question, talent and swimsuit, with more than $3,000 in cash, scholarships and prizes awarded to the top five finalists. Arcadian judges LaBelle rabbit/cavy showThe LaBelle Youth Livestock Rabbit and Cavy Show sponsored by LaBelle Ranch Supply was held Feb. 11, with Mrs. Jamie Dixon of Arcadia serving as the official judge. Kassi Dupree, Beryl Gonzalez, Peal Gonzalez, Morgan Lujan, Shawn Martin, Andres Martinez, Amelia Martinez, Armando Martinez, Alexandro Martinez, Grace Washam, Katherine Washam and Lily Washam were among the exhibitors. The Rabbit and Cavy exhibitors were either members of the LaBelle All Kinds of Critters 4-H Club led by Mylissa Dalrymple or the Pioneer Small Animal 4-H Club led by Patricia Bosley. Thank you, club leaders and parents; exhibitors did great exhibiting their animals. 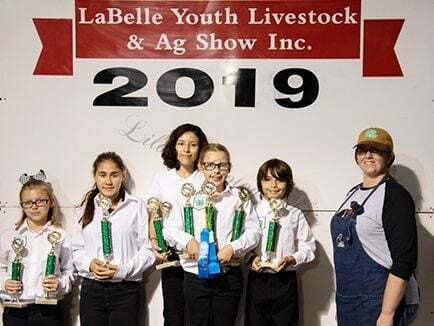 The sponsorship given by LaBelle Ranch Supply was greatly appreciated. Mission to mine blood orange varietyFlorida growers have long sought a blood orange that will develop uniform and reliable color. The deep red color is the result of anthocyanin expression, a healthful compound that also is responsible for the oranges’ unique flavor. Unfortunately, anthocyanin expression requires more chilling hours than Florida’s subtropical environment typically affords. Because blood oranges present unique marketing opportunities for fresh and processed markets, extensive trials were conducted in Maitland, Lake Weir, Indiantown, and other Florida sites dating back to the 1940s (and perhaps earlier). Though researchers identified some interesting blood orange varieties, nothing colored consistently enough for commercial application. Blood oranges remain a very small niche market for Florida growers. Lycopene, another healthful compound, provides the beautiful red color in grapefruit, tomatoes, papaya, watermelons, ‘Cara-Cara’ Navel oranges, and a host of other fruits and vegetables. Thankfully, lycopene is very much at home in subtropical environments. While lycopene-colored citrus fruit doesn’t have the same flavor profile as blood orange, it does exhibit beautiful flesh color and sometimes a blush to the peel. If only we could have a red Valencia orange that colors with lycopene! The ‘Ruby’ Valencia is a branch mutation of an ‘Olinda’ Valencia orange discovered on the Crocodile Valley Estate near Nelspruit, South Africa. The ‘Ruby’ was chosen exclusively for its internal and external color made possible by high levels of lycopene. It is ideally suited for warm climates where it is able to produce higher lycopene content and prevent excessive cropping. Other than its red color, ‘Ruby’ characteristics are identical to those of the original ‘Olinda’ clone. Where are we in this process? NVDMC recently held a ‘Ruby’ Valencia field day in Haines City, FL. Several thousand trees were available for planting in the spring 2019, providing more opportunity for trial and a boost in determining its long-term commercial potential. Trees in Florida are not old enough to generate conclusive information, but all have performed well to date. Grower contracts are available that enable growers to proceed with commercial plantings if desired. Contact NVDMC for more information. Propagations are limited to one nursery. Other nurseries are encouraged to follow the progress of this variety if the event propagation rights are extended. Peter Chaires is executive director of the New Varieties Development & Management Corp. When samples of the trendy vegetable were tested for the 2019 report, according to EWG, more than 92 percent had two or more pesticide residues detected, and a single sample could contain up to 18 different residues. Less than 1 percent of avocados and sweet corn samples showed any detectable pesticides. More than 70 percent of “Clean Fifteen” fruit and vegetable samples had no pesticide residues. With the exception of cabbage, all other produce on the “Clean Fifteen” tested positive for less than four pesticides. Only 6 percent of “Clean Fifteen” fruit and vegetable samples had two or more pesticides.